Some bathtubs are excellent while some are just okay. But AKDY surely is a brand to consider if you want an instant revamp for your bathroom. AKDY bathtubs are renowned not just for their quality but also for their interesting designs that you don’t normally see on other brands. Today, we pay tribute to the brand that helps transform millions of bathrooms by producing premium and visually-pleasing bathtubs and home furniture. If there is one thing that we like about AKDY bathtubs, it’s the unique design of their bathtubs. Take this BT0077 freestanding bathtub for example. Instead of having the conventional rectangular shape tub, this one has an asymmetrical design, which gives your bathroom an instant statement piece. In addition, the asymmetrical design also serves as a backrest so that you can lay back comfortably while soaking in the tub. This is a right drain tub but is reversible should you want to transfer the drain placement. Please note that it doesn’t have an overflow feature. This is another soaking bathtub with asymmetrical design by AKDY. However, this time, it has a bigger size to fit people who are tall and have big body structure. 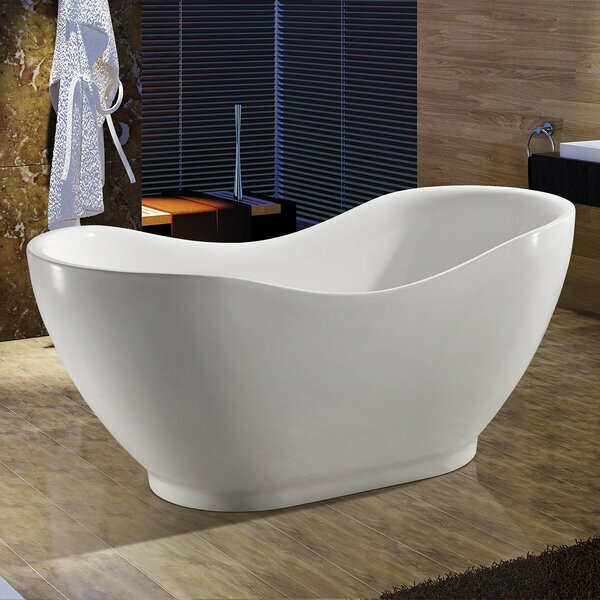 If you are 5’9 and has a curvy body, then this is the best AKDY bathtub for you. This freestanding tub is well-loved by many because of its amazing features. Check them out below! This is not purely an acrylic bathtub but is coated with one to add another layer of protection. This one doesn’t have an overflow drain as well. Hailed as the best by many AKDY bathtub reviews, the AKDY BT0071 bathtub is the best tub for men and for women who have a penchant for manly designs. 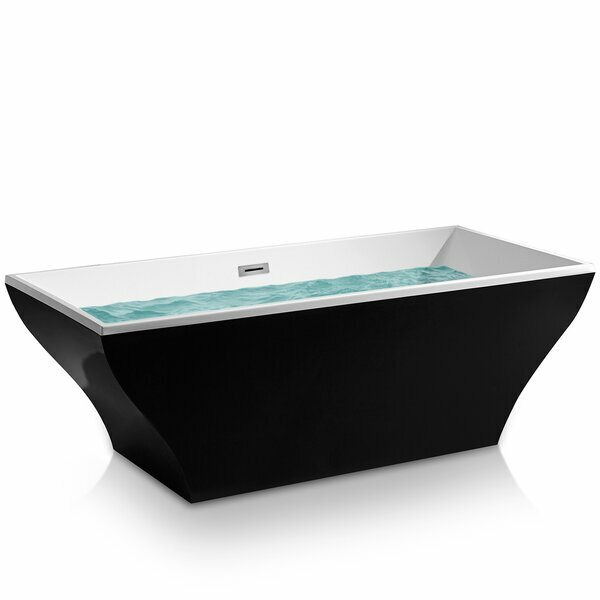 AKDY BT0071 is a soaking tub for a modern bachelor bathroom. It gives your bathroom an ambiance of modernism and elegance in just one single masterpiece. In fact, men reported that this is the most luxurious bathtub they have so far. It’s truly one of the best AKDY tubs. If you want a more feminine bathtub option, then AKDY BT0037 is an excellent choice. 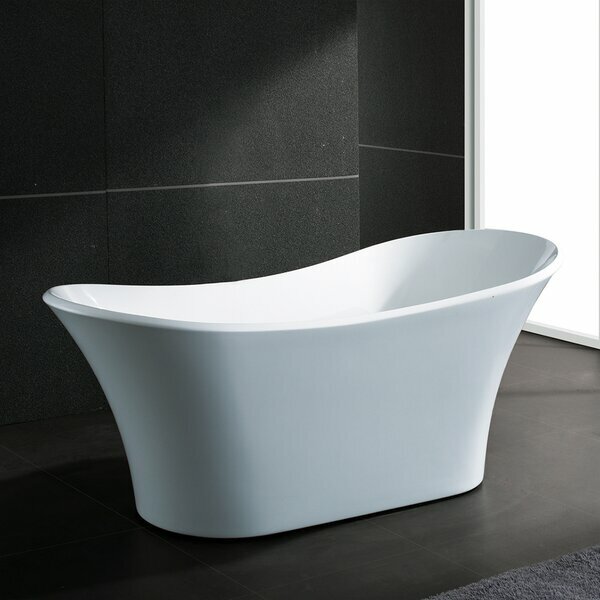 This freestanding tub has a white finish with a striking design. This is a double slipper bathtub, which allows you easy access to the tub. 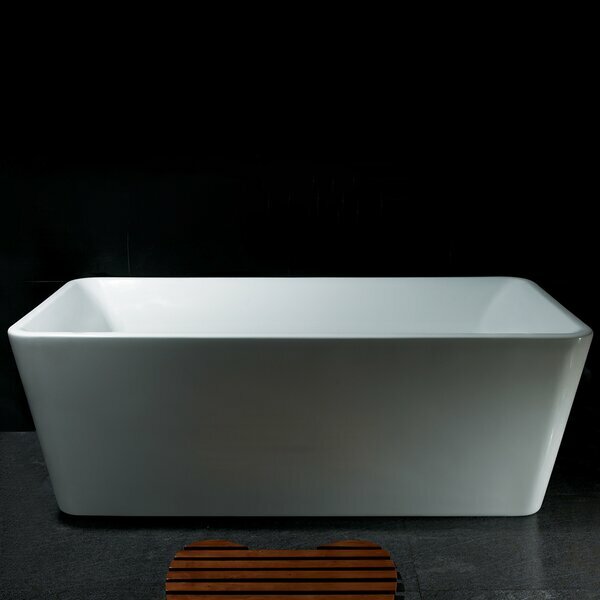 Moreover, the tub’s design is really ergonomic while giving your whole body the ultimate comfort. Women users particularly said that the tub’s size is perfect for them. With a total of 66 gallons of water capacity, you’ll surely enjoy your soaking session with this bathtub. The double slipper design makes this one of the best AKDY tubs for the elderly as well. This is an acrylic tub, so you can expect stains and other dirt will not cling easily to the surface. Of course, we don’t want to exclude people who love just a simple bathtub design. For those who want to stick to minimalism and prefer their bathtub to be simple yet eye-catching, then the traditional rectangular shape bathtub will do good for you. However, to make the most of your bathtub soaking experience, AKDY added some cool features to this tub. AKDY BT0024 has smooth edges so that you can blend it well to any bathroom design. Moreover, it also has a flexible drainage pipe so that you can install and place the tub anyway you like it. We’d say that this is the best AKDY bathtub for people who want a substantial tub but can be integrated into any bathroom motif you already have. With so many options to choose from, it’s easy to get confused and end up buying a bathtub that doesn’t really suit your taste and budget. To avoid being tricked into buying the wrong product, doing your research beforehand is highly recommended. 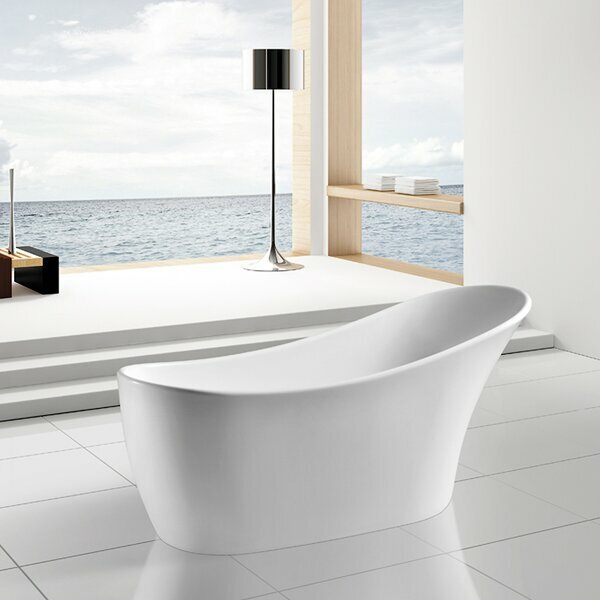 If we were to recommend the best bathtub from the list, it would be the AKDY BT0075 Freestanding Bathtub (71×32”). It’s a great tub for both men and women. Also, it has a modern asymmetrical design that makes it a great statement piece. Lastly, we love the fact that it has enough space to accommodate tall and curvy users, not to mention that it has adjustable legs. For sure, investing in an AKDY bathtub for your bathroom is a wise decision. The brand is trusted by thousands of homeowners in the U.S. AKDY also offer a good warranty service on all their bathtubs. A great deal indeed!